Former pupils of the Royal School for Deaf Children Margate (RSDCM) have still not been found a suitable new school, more than four months after it closed. The school was forced to close in December for financial reasons, after the care watchdog uncovered evidence that disabled young people at the neighbouring Westgate College for Deaf People, run by the same charity, had been exposed to “serious harm”. The John Townsend Trust, which ran the college and the school, was placed into administration after the Care Quality Commission decided the trust’s leadership had failed to prevent “shocking examples of institutionalised failings and abuse” at the college, and forced it to close. But four months after the closure, many of the children and young people from RSDCM and the college have still not been found new educational placements. 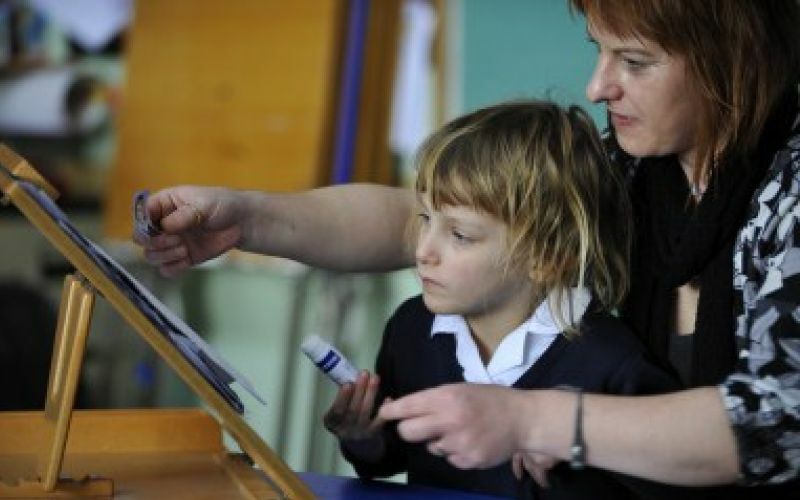 Many former pupils of the school are profoundly Deaf users of British Sign Language (BSL) and have additional support needs, and their parents say local authorities are unwilling to fund places in the few schools able to support them properly. After last week’s story, in which the trust’s administrators claimed that the majority of former pupils had found new school placements, one parent, Kimberley Alexander, contacted Disability News Service (DNS) to dispute that claim. She said: “Sadly the administrators, the trust, local authorities and government are covering up the sad fact that the majority of children and young people do not have suitable school places. She said her 12-year-old daughter Sasha and other former RSDCM pupils funded by Kent County Council were still spending their days at home because of the council’s failure to fund suitable placements. The only education Sasha is receiving is three sessions – totalling eight hours a week – that are run privately by former RSDCM staff, and which the family have to pay for themselves. Even though Kimberley gave birth to her third child by caesarean on 22 December, the council refused for three months to provide them with any support, because of the family’s refusal to accept what they saw as an unsuitable placement in a local special school. Eventually the council grudgingly provided three weeks of back-dated support through direct payments, she said, but only because the school the council wanted Sasha to attend would not have been ready to take her until 26 January. The family have now found what they believe is a suitable school for Sasha to attend, in Brighton, but the council is refusing to fund it. They believe that they and other parents will have to go to a tribunal to force their local authorities to fund suitable places for their children. Kimberley said: “The council paid £75,000 a year at Margate, but the other school [which the council wants them to accept]will cost £40,000 a year. “Just think how much they have saved in the last five months of her not being educated. “It is always about money and that is what so frustrates me. No-one here says what is in the best interests of these children. The children are being treated horrendously. “Personally I think Kent rubbed their hands together when the school shut, because they saved a hell of a lot of money. She has joined with other families of former RSDCM pupils through Facebook to share their experiences and offer mutual support, and says many of them have had similar experiences, both with Kent and other local authorities. Kent County Council said it had 14 pupils in the school at the time it closed, out of a total of about 55, and another six in the sixth form. The council said it was still in discussion with “a handful” of families of former pupils, but would not say exactly how many, although it said “every child has either been offered a school place or we are arranging alternative provision”. Alexander said she bumped into John Colyer QC, the retired judge who chaired the trust, at the school after its closure, and he told her that he had met with prime minister David Cameron and education secretary Nicky Morgan to discuss the plight of the trust’s former students. A Kent County Council spokeswoman said it was “regrettable” that it had not been able to find a school place the family agreed with. She said: “In cases where more than one school can meet needs, and where there would be no detrimental impact on the education of other children placed in the school, the council must then take into consideration the most efficient use of public resources. “If parents disagree with the placement offered they are able to appeal to a tribunal for special educational needs and disability and we encourage them to do so. The council insisted that it had “acted swiftly to identify onward pathways for the children and young people receiving education at the school”, and sent DNS a list of 13 actions it had taken, such as collecting information on each pupil, making former trust staff aware of job opportunities, and securing funding of £120,000 for building adaptations at East Kent College so that some students could move there. The spokeswoman added: “It is proud of what it has achieved in such a short time to secure appropriate provision that is resourced to the right standard to meet the needs of these unique learners. Another parent, Alison Moutiq, from Bedford, said her son, 17-year-old Aidan – who was living in school accommodation and being educated by the college at the time the trust went into administration – was also still at home without a new placement. Aidan, who is both autistic and profoundly deaf, had been at RSDCM since he was seven. She said that Bedford council had been “absolutely no use whatsoever”, and had refused to provide any home tuition for Aidan. Aidan’s social worker requested a care package for the family, but the bid was turned down by the council. The two placements suggested by the council would have been “considerably cheaper” than Margate, but neither would have been able to meet both his BSL and autism support needs, she said. The family now hope the council will agree to fund a placement at a college run by Doncaster Deaf Trust, which would be more expensive than the council’s options. A Bedford council spokeswoman said: “We find a suitable package for children we can support. “Ridgeway School [one of the two placements suggested by the council]is well-renowned for providing excellent care and development opportunities to young people with autism. A third parent contacted DNS this morning (14 April) to describe how her son, who was a service-user who lived in the trust’s accommodation, had been in “emergency respite” since the closure, with “no activities, no structure, no friends and the council charging him more than he gets in employment and support allowance for the privilege”. She said that local authorities were using the closure of the school and college as an opportunity to place former pupils and students in cheaper settings. Some of the parents have been supported by The National Deaf Children’s Society. Catriona Filmer, the charity’s deputy director of support and advice services, said: “We are aware of children and young people who are still without long-term placements, and we are supporting some of these families to try and resolve matters. 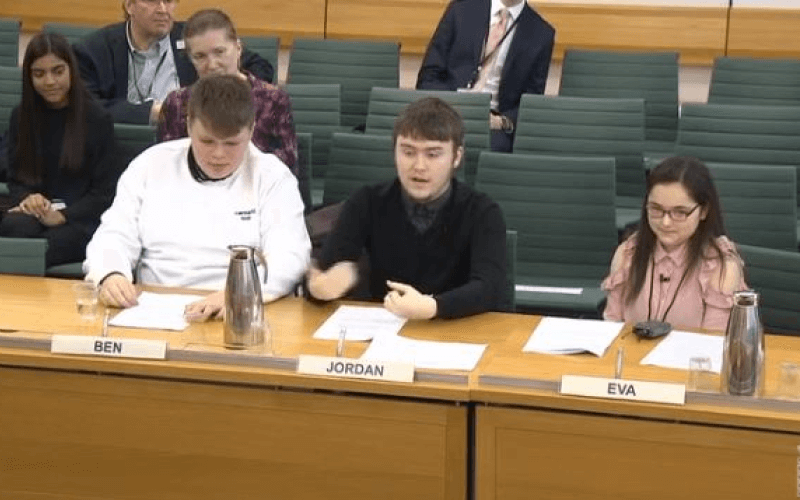 “Local authorities have a legal duty to provide education for these children and if a placement can’t be found they have to find alternative full-time provision. “We are aware of many families who are only getting part-time home provision and this is having a knock-on effect on parents’ abilities to care for their child. Both Number 10 and the Department for Education had failed to comment by noon today (14 April).